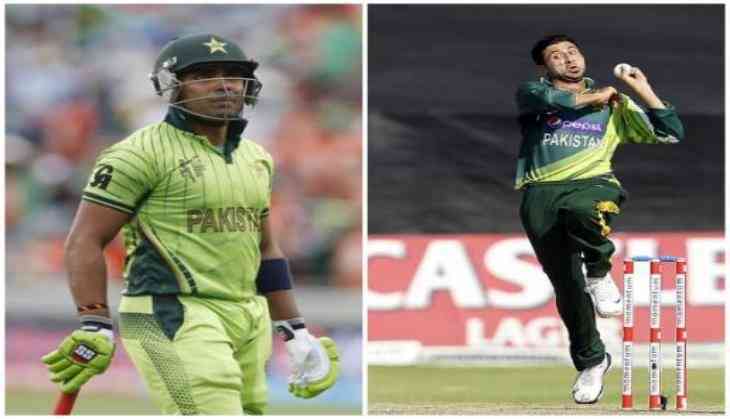 Middle-order batsman Pakistani Umar Akmal and left-arm pacer Junaid Khan have been punished by the Pakistan Cricket Board (PCB) for their misconduct during a domestic tournament last month. The PCB has imposed a fine of 50 percent of match fee of both Umar and Junaid and has put the duo under observation for a period of one month, starting from May 18, with a warning of further action in case if reoccurrence of breach of discipline, reports Express Tribune. The two were engaged in argument when Akmal, captaining the Punjab province against Sindh at the Pakistan Cup clash in Rawalpindi, was asked about his team combination. Akmal informed that all-rounder Nasir Nazir would be playing in place of Khan, who failed to turn up. "I am just told that Junaid is absent. I am surprised. The manager and the coach have informed me that he is not going to play today. This is shocking information for me as captain," Akmal had said. Just few minutes later, Junaid, in a video message on his social media account from his hotel room, expressed displeasure over Akmal's statement and said that the Punjab province skipper tried to give the impression that he was running away from the match. "I am disappointed to hear what Akmal has said about me. He tried to give the impression that I ran away from the match. In fact, I am dealing with food poisoning and I have duly informed the team management about this. The team doctor has advised me rest," Junaid said. The duo are a part of the 15-member Pakistan squad that will take part in the upcoming ICC Champions Trophy beginning June 1 in England and Wales.